A trail of golden and scarlet leaves flutter in the wake of cars as they glide down the road, as orange and yellow foliage flutters in the breeze. A drive through the Sevierville neighborhood of Cedar Falls could easily be featured in a Hollywood film as the setting for an idyllic residence. A quaint covered bridge greets you, with a winding paved road through stands of tall trees leads you to each home, tucked away from the road for privacy and to truly immerse the resident in nature. An idyllic pond with a lanky weeping willow is the perfect place to spread a picnic blanket or simply sit and take in the clean mountain air and forested view. The beautifully manicured neighborhood common spaces include many amenities, such as a catch-and-release fishing pond, children’s playground, outdoor pool, and a picnic pavilion. These amenities are available for residents, guests and add an incentive for those who choose to utilize their vacation home as an investment, renting it out when not in personal use. The rustic style with modern services perfectly captures the beauty of mountain living in the twenty-first century. The balance of vacation homes, permanent residences and rental homes creates a low-traffic neighborhood that provides the quiet, serene atmosphere mountain homes are known for. 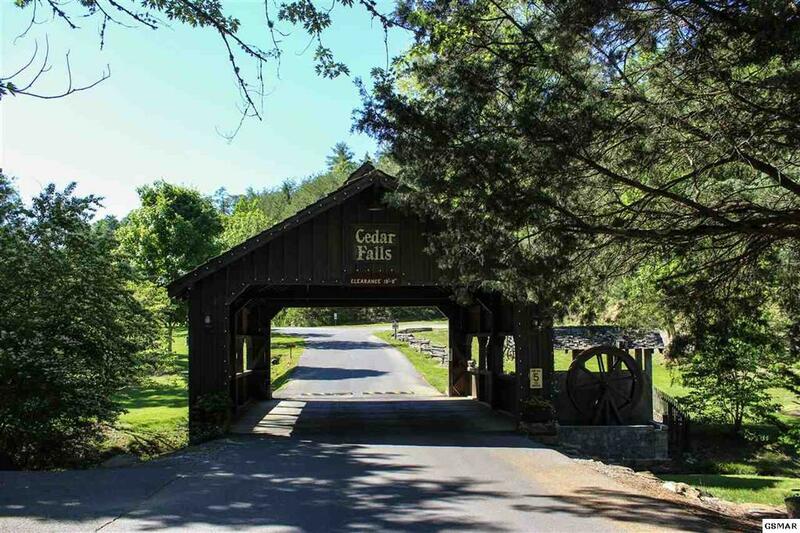 Cedar Falls is located in Sevierville, off the beaten path enough to provide ample privacy but still conveniently located in close proximity to the activities and entertainment in Pigeon Forge and Gatlinburg. Cedar Falls provides easy access to Dollywood, is minutes from the Parkway in Pigeon Forge, and is only a short drive to the Great Smoky Mountains National Park. Cabins and various architectural styles allow each home to have its own unique personality. Homes tend to feature large windows to provide maximum appreciation of the breathtaking views, from colorfully adorned forests to wide, green lawns perfect for an afternoon of catch or football. Homes are well spaced out; both homes and lots are currently for sale. Would you like to own real estate in Cedar Falls? Our team excels at matchmaking between homes and house-hunters. 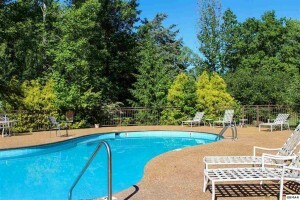 Whether you’re searching in Gatlinburg, Pigeon Forge, or Sevierville, we can guide you to the perfect home. From distressed homes for bargain-seekers to luxury cabins to view those majestic, fog-shrouded mountains, we have something for everyone.